Byron Spriggs has been a goalie for the past 17 years. He played his minor hockey with the Fort Richmond Kings and Pembina Trails Twins. He finished his youth hockey years with the Vincent Massey Trojans, before moving on to play for the Winnipeg Blues of the MJHL for 3 seasons. In his last year with the Blues (2013-14), they won the MJHL Championship, where Byron was named Top Goaltender and awarded Playoff MVP. 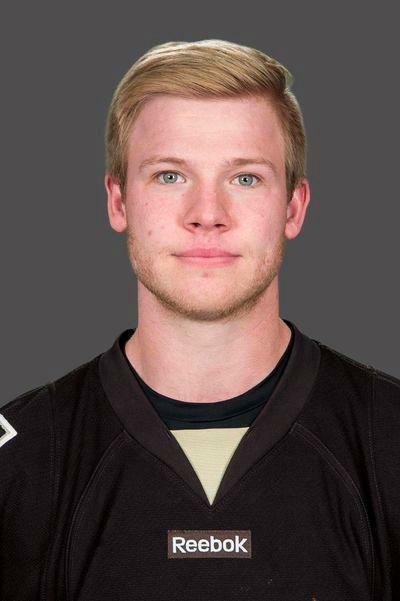 He then moved on to play for the University of Manitoba Bisons, where he is currently finishing his 5th year on the team. In addition to Winnipeg Goalie Camps, Byron offers Private 1-on-1 Coaching and Team Coaching for goaltenders of all ages. Please Contact Byron Spriggs for more information. © 2019 Byron Spriggs Goaltender Devlopment. All Rights Reserved.